RoadSafe’s Industrial Services Group is the trusted leader in safety for some of the nation’s largest railroads and utility companies. At RoadSafe, we understand the unique needs of the construction, maintenance and repair operations and schedules that you face. We’re your partner that prioritizes safety while protecting your workers and maintaining traffic flow. 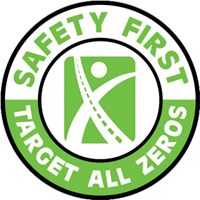 We manage traffic safety projects of all sizes and take pride in our proven record of safety, reliability and cost effectiveness. Our crews and equipment work from branches and satellite facilities across the USA. You can rely on RoadSafe for expert services and quality safety products that are always delivered with an eye toward your bottom line.